Contestants sweating it out in this year’s I’m a Celebrity include TV and radio star Noel Edmonds, someone more used to a comfy existence in the south of France! Here’s why Noel’s experience in the Australian jungle must feel like a million miles from the Côte d’Azur! 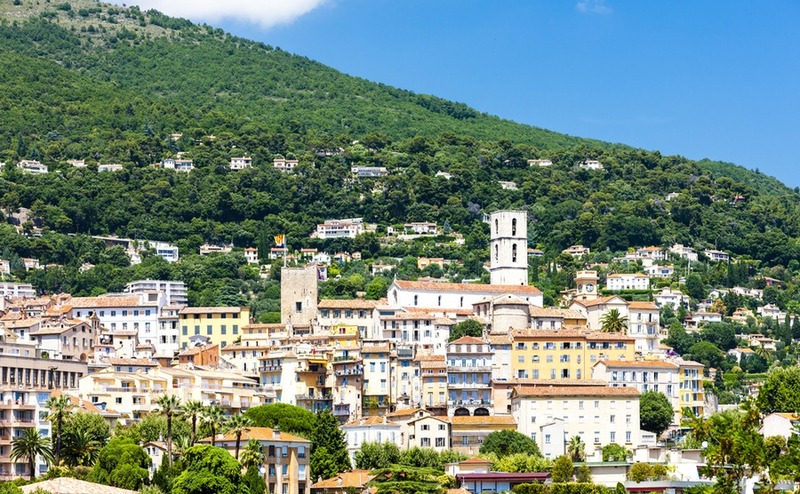 Noel and this wife Liz are big fans of the Riviera, but in particular Monaco and the pretty area of Grasse, just west of Nice and inland of glitzy Cannes. The couple, married since 2009, are residents of Monaco, that famous principality located between Nice and Menton. A bit like the I’m A Celebrity jungle, it’s somewhere Noel can expect to rub shoulders with other celebrities, in particular famous F1 drivers and tennis players who choose to base themselves somewhere with a favourable tax system. “Actually, we have met some of the loveliest people there, including that nice prince who lives on the hill!” Noel said in an interview with the FT earliest this year. 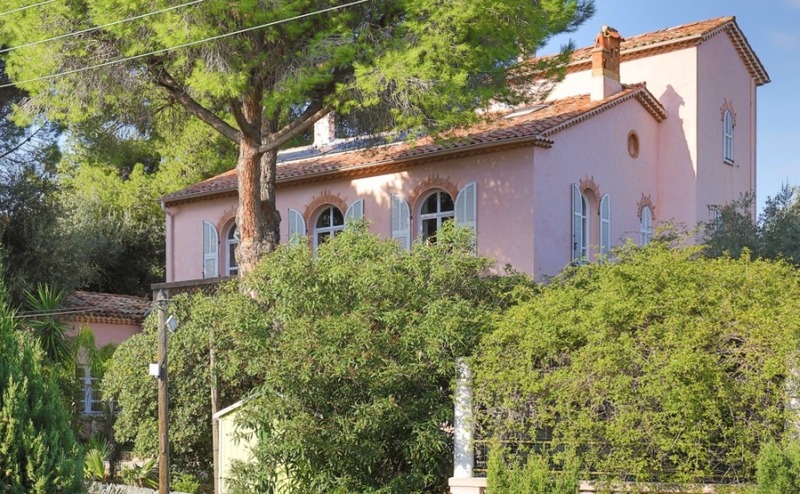 Noel Edmonds has put his home near the town of Grasse (pictured) up for sale. Few places could be better for road-testing exotic cars than the winding roads in the hills behind Cannes. Perhaps this was one of the many attractions that led Noel to buy a large property just outside Grasse more than 10 years ago. The 18th-century, six-bedroom, Bastide-style villa is typical of the luxury market in this exclusive area of the Côte d’Azur. It once belonged to a family of well known perfumers from Grasse, hence its name ‘Perfumed Garden’. Beautifully furnished and bursting with authentic features, it includes everything you’d expect a celebrity home to have – heated pool, separate guest accommodation with private pool, fantastic views across the surrounding vineyards, lots of outdoors entertaining space, landscaped gardens and sophisticated security systems. Nice International Airport is just 30 minutes away. 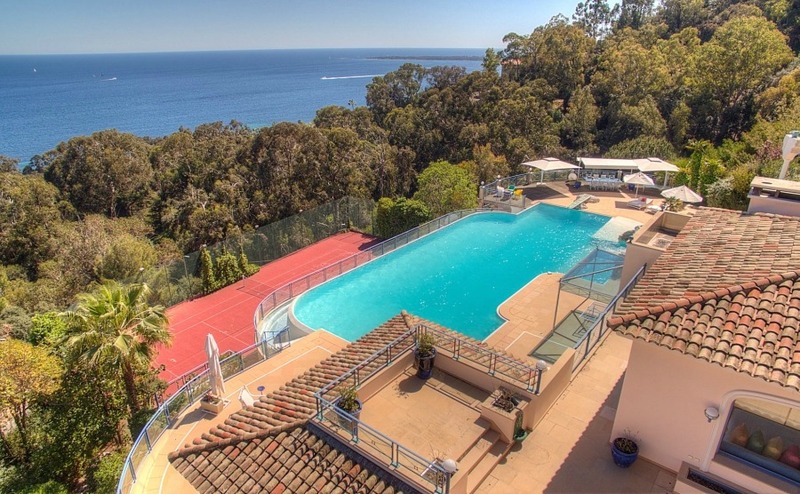 Ready to buy in the Riviera? 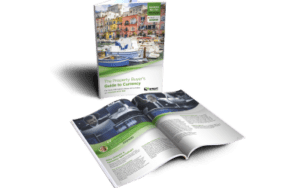 Make sure you get the best possible deal by following the advice in our guides, How to Negotiate Abroad. Looking for your own Riviera property? Noel’s home isn’t the only one on the market in this beautiful region – we’ve got a number of gorgeous period homes around Cannes on our property portal, too. Here are some of the best. Click on the image to view more details about the property in a new tab. This gorgeous home enjoys a secluded setting in the countryside just outside Cannes, completely shielded from outside view. Like Noel Edmonds’ home, it enjoys a long history and was once the property of a Count. It has 10,000m2 of grounds, including a swimming pool with pool house and summer kitchen and a ‘Trianon’ hideaway. In the house itself, you’ll find a large living/dining area, nine bedrooms, four bathrooms, a spacious terrace and a wine cellar. With beautiful views over to Cap d’Antibes, this villa is perfect for enjoying the stunning natural surroundings of the Côte d’Azur. It has five bedrooms, a cinema room, a wine cellar, a gym and a summer kitchen. There’s plenty of space to make the most of the warm climate, with a heated pool and 2,500m2 of land. This bourgeois-style villa sits in a 1,200m2 plot with beautiful terraces, olive trees and pool. The dining room has large windows opening onto the garden, while upstairs are five bedrooms. The property also has a wine cellar, games room, fitted kitchen and two garages. The separate two-room apartment is ideal for family or staff. 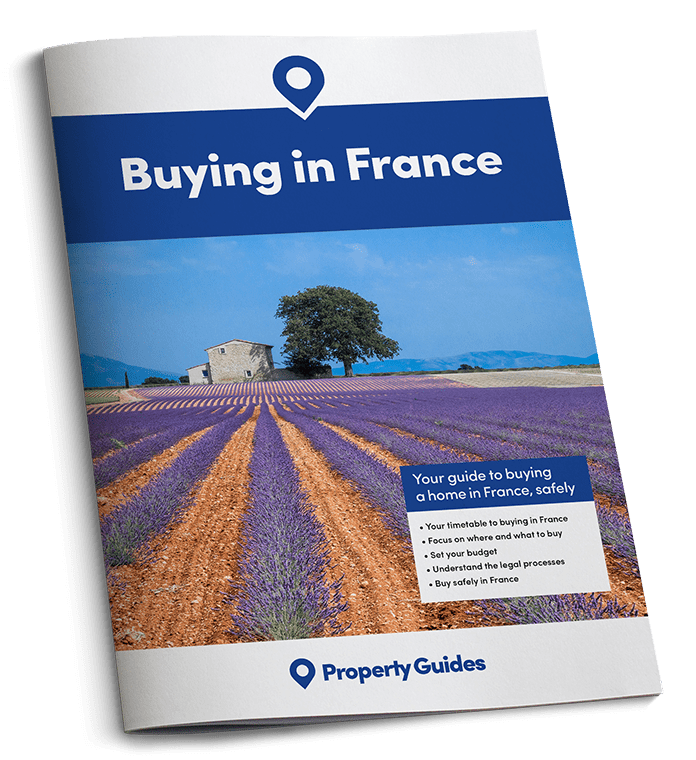 Your France Specialists in the Resource Centre can provide no-obligation introductions to trusted solicitors whom our readers have left glowing feedback about to help you with your property purchase. Simply fill in the form or give us a ring to ask more on 020 7898 0549. Click on the image to view more details about the property in another tab. 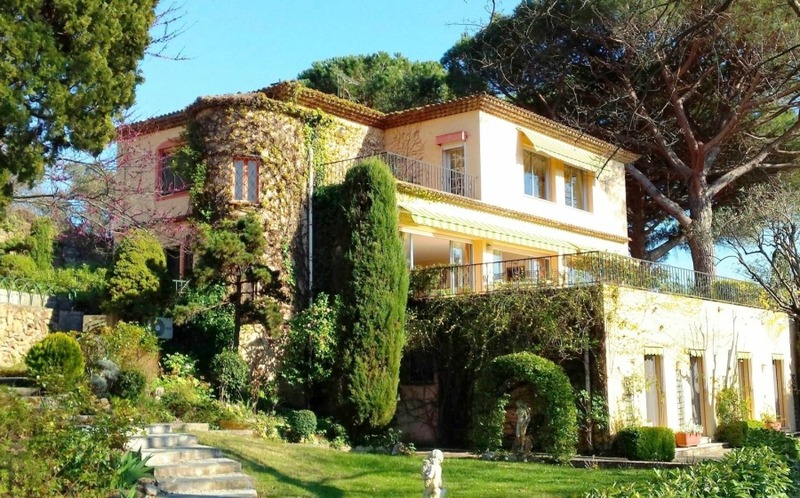 This exceptional property enjoys one of best locations in the area, with panoramic views from the Cap d’Antibes to the Lerins Islands. The terraced design means the house, pool and tennis courts all take advantage of these magnificent views. Floor-to-ceiling windows flood the combined living-dining area with light and provide easy access out onto the top terrace.